Aconitum napellus (Aconite), better known as Monkshood for the helmet-like sepal that covers the rest of the flower, has a long history as both a deadly weapon and an herbal remedy. It is a member of the buttercup family and is a hearty perrenial. The flowers come in a range of colors including blues, yellow, white and pinks. It’s other common name, Wolfsbane, is said to have come from the plant’s use in keeping wolves at bay. Villagers used the toxic sap to coat arrows that would kill the unwanted animal. 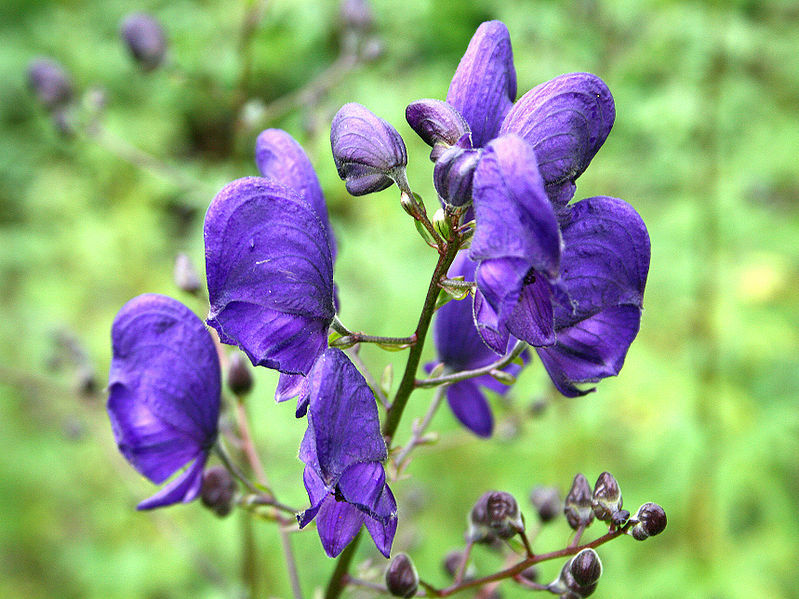 Wolfsbane or Monkshood? What’s in a name? The ancient Roman naturalist Plinius, better known as Pliny the Elder, referred to it as “plant arsenic.” In Ovid’s Metamorphoses, the evil sorceress Medea conspires to kill the hero Theseus by offering him a cup infused with the deadly poison. Fortunately for him, her plan was foiled. Had he drank from the cup, his death would have been painful, but relatively fast. Even a small amount of exposure to the roots can produce tingling and numbness, and large-scale exposure can induce nausea, vomiting, diarrhea, rapid heartbeat and death. The European variety, although poisonous enough to be deadly, is not as toxic as the Asian variety, and yet even the Asian variety has been used in healing medicine for centuries as well as in the preparation of poisons. Aconite can trigger hallucinations. I has been used to slow the pulse and as a sedative for heart palpitations. The use of aconite in medicine is probably at the basis of its connection with werewolves, as is the legend that it was given its poisonous qualities from the slobber of Cerberus during Hercules’ fight with that ferocious dog of Hades. By the way, the seed, wrapped in a lizard’s skin and carried allows you to become invisible at will. I gotta go catch me a lizard…. Anyway, if you are looking to do in a werewolf this Halloween, go for the silver bullet, as wolfsbane merely slows ’em down. Ditto for vampires. A little ditty from the 1941 movie, The Wolfman. What of it? It is the ancient holiday of Beltane, a day when the veil between worlds is thin and people may see fairies or other spirits. Beltane is what is called a corner holiday. It falls halfway between the equinox and the solstice, and is the calendar opposite of Halloween. Corner holidays mark the beginning of the seasons, while equinoxes and solstices mark the middle or height of the seasons. One of the ancient and quaint customs for the celebration of May Day was dancing around a May Pole. It is believed to be a survival of an early pastoral festival that accompanied the first turning of the herds out to wild pasture. The dancing was intended to increase fertility in the herds, fields and homes. May Day celebrations are still practiced extensively in the UK. In some parts of the United States, May Baskets are made. These are small baskets usually filled with flowers or treats and left at someone’s doorstep. So get out there and build a fairy garden, bring a neighbor a basket of flowers or dance around a tree! 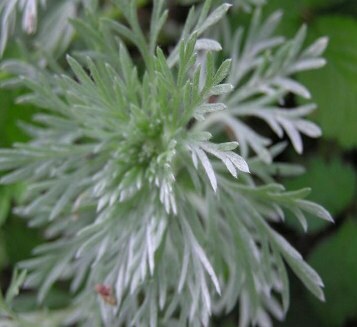 The 2014 choice for the Herb of the Year is actually a large and diverse group of plants: the Artemisias. Man’s connection to the artemisias goes back a long way. They are found growing in large expanses throughout the world undoubtedly caught the eyes of early hunters and gatherers. According to the Greek myths, Artemis, the goddess of the wilderness and of the hunt, gave the power of the plant to Chiron the Centaur who was a great healer and teacher. 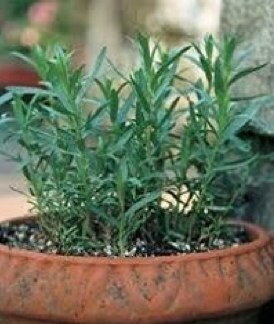 It was Chiron who developed the first medicines from artemisia. The many silver or grey artemisias can help create a beautiful, serene effect on the landscape. The artemisias are very hardy, drought tolerant, and adapt well to most garden situations. This excerpt was taken from the Richters 2014 Herb and Vegetable Catalog. Holly, Ivy and Mistletoe are the most prominent green plants in British native woodland during the winter, and for this reason they have earned respect from the early country-dwellers and a place in holiday traditions. In ancient English village life there was a midwinter custom of holding singing-contests between men and women, where the men sang carols praising holly for its masculine qualities and disparaging ivy, while women sang songs praising the ivy for its feminine qualities and disparaging holly. The resolution between the two was under the mistletoe. When a couple kisses under the mistletoe, a berry is to be plucked from the bush. When the berries are all plucked the kissing privileges cease. Why kiss under mistletoe? From the earliest times mistletoe has been one of the most magical, mysterious and sacred plants of European folklore. It was believed to bestow life and fertility and used an aphrodisiac.